Calling all vintage lovers in the North East of England! Britain Does Vintage are bringing their latest festival to Newcastle and I’m very excited to be joining them for what promises to be a very special day. The Clayshed’s Big Vintage Festival will take place on 23rd April at Hoults Yard in the Ouseburn – you’ll find lots of traders of course, but also vintage entertainers, a beauty bar, street foods, a tearoom… and that’s not all! 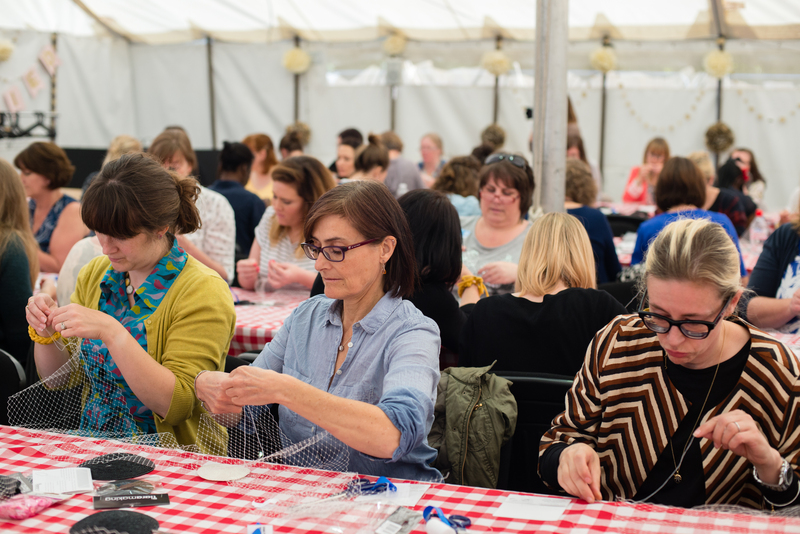 You’ll also be able to take part in free workshops, including my Dapper Knitted Bow Tie Workshop – eeek! I’ll be running the workshop at 12pm and 3pm. Spaces are limited, so if you’d like to learn how to make a super easy and retro bow tie, all you have to do is email info@britaindoesvintage.co.uk. 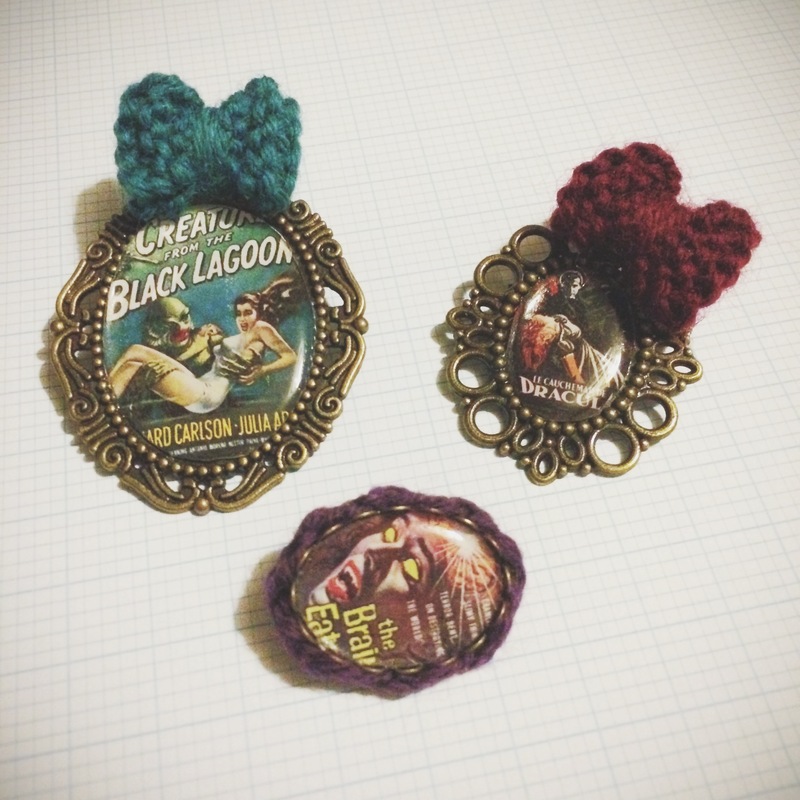 You’ll also be able to buy vintage themed knitted accessories – bow ties of course, peter pan collars, hair bows, macramé and more – at my Julie & The Knits stand. Please come and say hello! My dog Spike & his very own dapper bow tie! I’m really looking forward to this event and hope to see many of you there! For more info, visit the Clayshed’s Big Vintage Festival info page and follow the latest news on Facebook and Twitter. From time to time, an IGer comes up with a photo challenge to encourage fellow IGers to share more of their creative world. I’ve only taken part in one photo challenge in the past – #animaldoodleaday – and what a challenge that was! 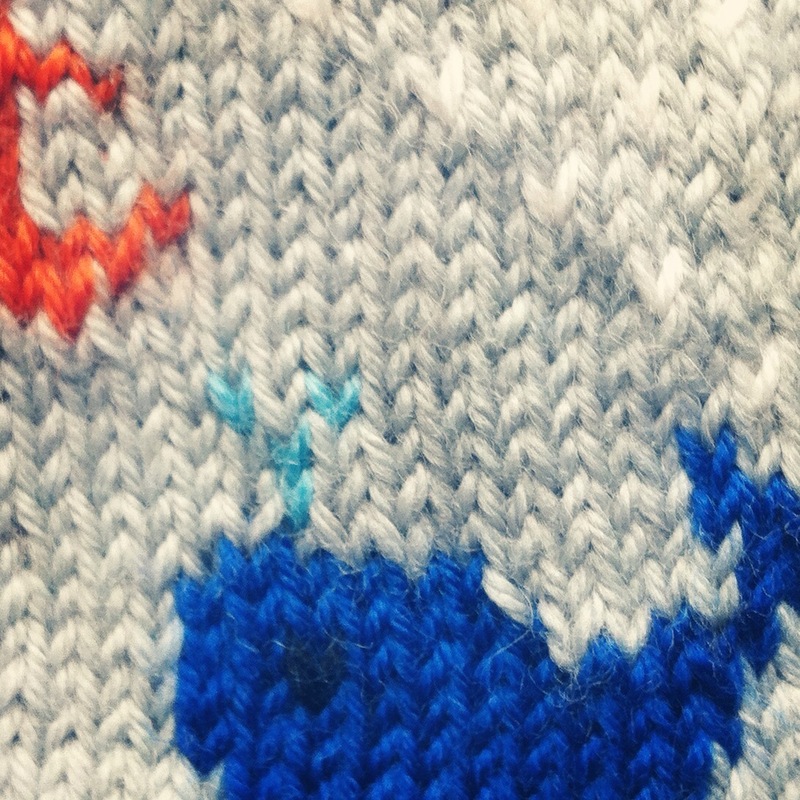 By taking part I completely stepped out of my comfort zone and designed intarsia patterns daily. 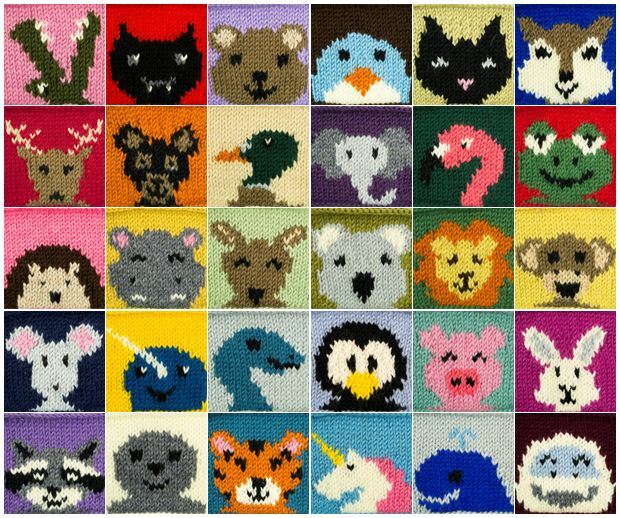 Hard work, but it paid off, since the 30 Animal Squares project is one of my most popular patterns to date! Here are my 31 pics! #marchmeetthemaker DAY 2 – You I'm Julie, I'm French and 10 years ago I moved to the UK. I work in the corporate world by day, but my second job is knitter of cute stuff. When I'm not knitting, I love spending time with my lovely bf and dog, eating out, going to gigs, travelling and doing anything crafty! #marchmeetthemaker DAY 3 – Workspace Probably my favourite spot of my little flat. My workspace is just by a bay window and the light is amazing, perfect to take photos for my shop and tutorials. On my cork board you can see the various projects I've created for @molliemakes! #marchmeetthemaker DAY 4 – Tools I always keep my knitting essentials in a little bag – needles & yarn of course, tapestry scissors & needle, crochet hook, row counter, tape measure, stitch markers, cute embellishments like these buttons and of course my trusted Moleskine! 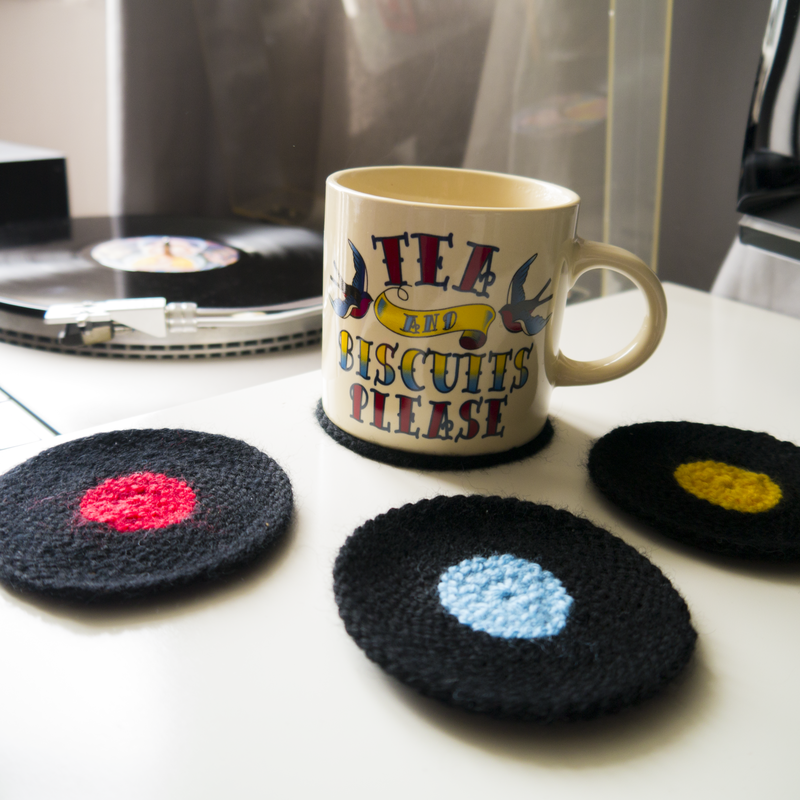 #MarchMeetTheMaker DAY 5 – Can't live without… my needles. Or whatever enables me to be creative. 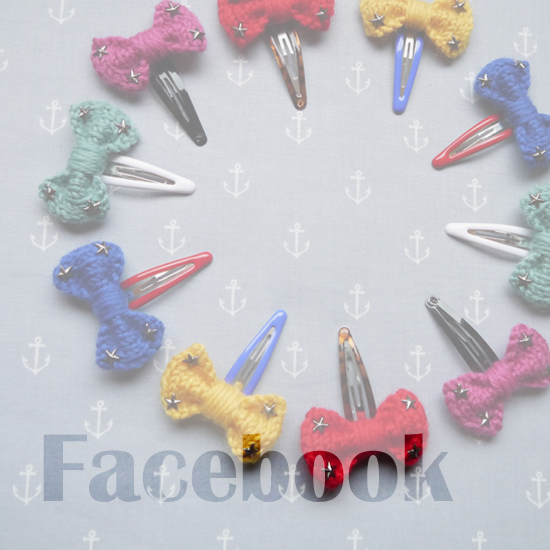 Whether it's knitting, crochet, papercraft or photoshop, I just don't think I could live without having a creative outlet, the world would be too boring! #MarchMeetTheMaker DAY 6 – Raw materials Here is (a small part of) my yarn collection. As I work mostly on small projects, I use DK yarn a lot and my favourite is King Cole Merino Blend DK, the quality and colour range are amazing! #MarchMeetTheMaker DAY 8 – Where After getting my English degree back home in Rouen, France, I came to the North East of England 10 years ago for a work assignment and never moved back! I live in Newcastle upon Tyne and absolutely love my neighbourhood, in particular these cute doors! #MarchMeetTheMaker DAY 20 – Sketchbook My moleskine is the starting point of my design process, where I first draft sketches, charts and notes. It sometimes takes me months to be happy with a project and finally knit it! This is a corgi framed knit I made for myself when I started doing chart work (based on a simple corgi pattern I found online) because dogs (and the queen)! 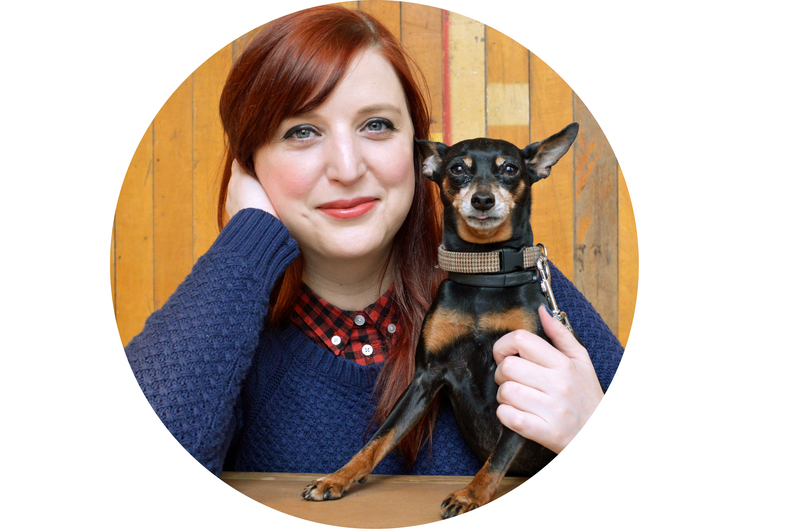 #MarchMeetTheMaker DAY 24 – Milestone 3 years ago @molliemakes digital editor found me on IG and asked to do an interview for their website. From this point I then became a regular contributor for the magazine and also worked on a Xmas themed project for their latest book, How To Knit, now available in paperback (this cover project is by the super talented @sincerelylouise)! 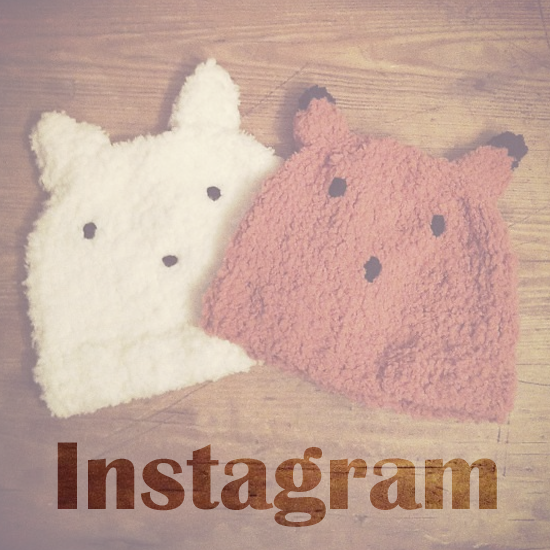 It all happened thanks to Instagram where I was sharing progress on my little knits. So happy and proud to be a #molliemaker! #MarchMeetTheMaker DAY 26 – Colour/Texture Any knitter will tell you, you can never have too much yarn! There are so many textures and shades to choose from, there's always one you need but don't have yet. I love merino DK yarn and wish I could own all the alpaca yarn. 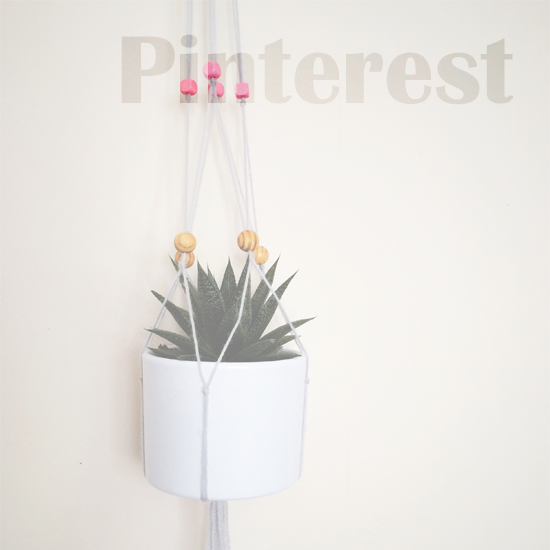 Would love to hear what your favourite type of yarn is! #MarchMeetTheMaker DAY 29 – In action Here is one of my first attempts at crochet, making the border of an animal baby blanket. Can't wait to crochet some more! As promised, here is a post about my time at The Handmade Christmas Fair which took place in Manchester on 20-22 November. When I received an email from the organisers inviting me to the event, I did not hesitate for one second and accepted. Living in Newcastle, I always feel pretty jealous about all the amazing events in London throughout the year so finding out that the fair was in Manchester this time was a very pleasant surprise, and on Sunday morning me and my bf hit the road south. 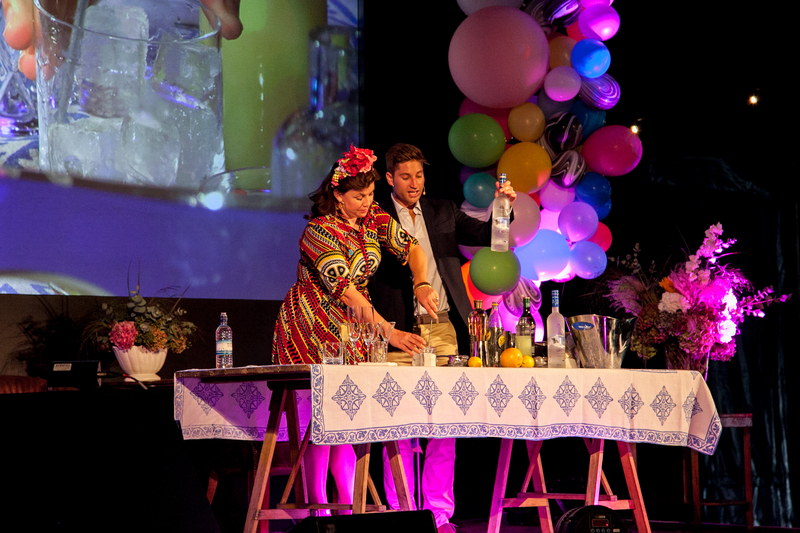 Our Full Experience tickets gave us the chance to attend one session in the Super Theatre, one Skills Workshop as well as one Grand Make session. There was A LOT to choose from and, because we were quite short for time (and because I wanted to have enough time to check out the Shopping Village), we decided to head to the Super Theatre first for a christmas pudding cookery lesson hosted by Kirstie Allsopp herself and Lisa Bennison from the award-winning Bettys Cookery School. Being French, Christmas pudding has always been super weird to me – I mean, where is the crème pâtissière – but the demonstration was very interesting and Kirstie & Lisa shared lots of insider secrets (one was that spices don’t last so you should share them with friends!). 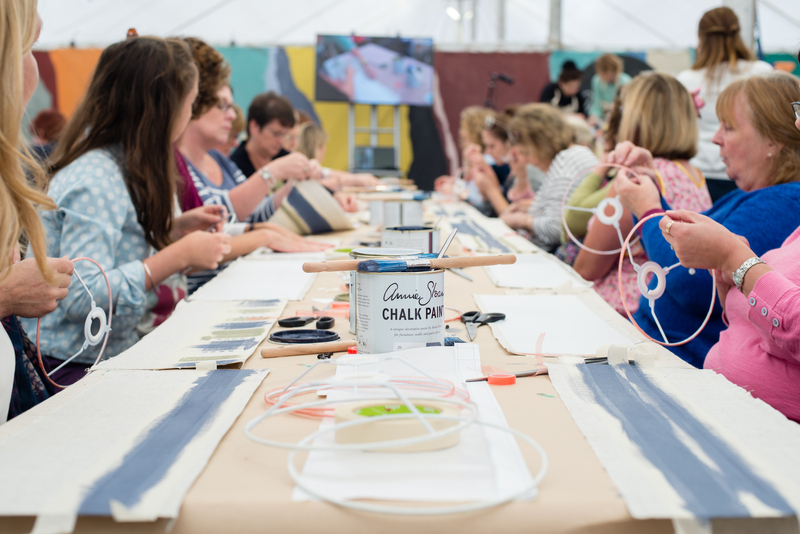 We then joined one of the Skill Workshops, where you get to learn a technique and take your finished product home. Luckily, the last workshop of the day was upholstery, something we’ve both wanted to try for ages! The chair pad workshop was led by the guys from Ministry of Upholstery, the UK’s leading modern upholstery school. Did I enjoy it? I enjoyed it so much that I signed up for an upholstery course here in Newcastle the following week! Finally it was time to check out the Shopping Village yay! To be honest, there weren’t as many exhibitors as I’d expected, but there was a great variety of crafts and I did manage to spend quite a bit of money :) Here are a few pics from some of my favourite stalls as well as my purchases… cannot wait to make my own candles! Goodnight Boutique, the best looking stall! Kirstie’s candle making kit is now mine! The Handmade Christmas Fair is not just a fair. 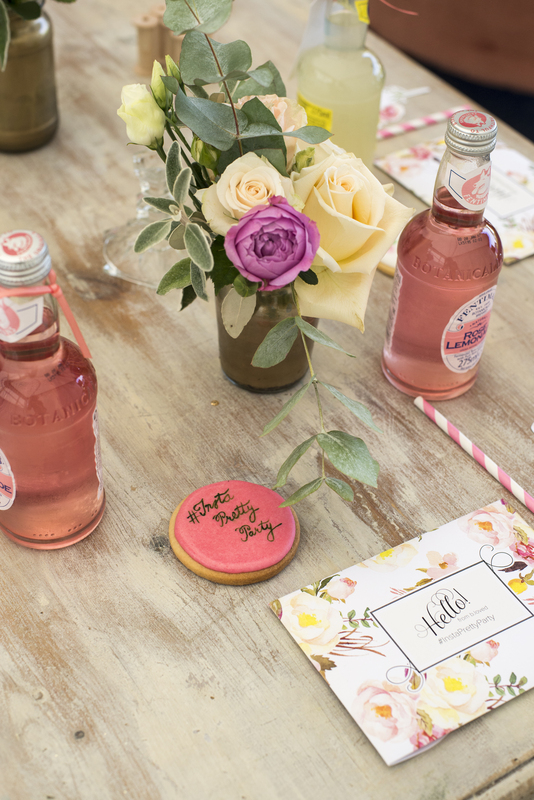 As they describe it themselves on their website, it ‘puts buying, learning and making at the heart of your day’. I loved discovering (and trying!) new crafts and meeting so many talented designers, as well as the queen of handmade herself, Kirstie, who was so engaged and passionate. 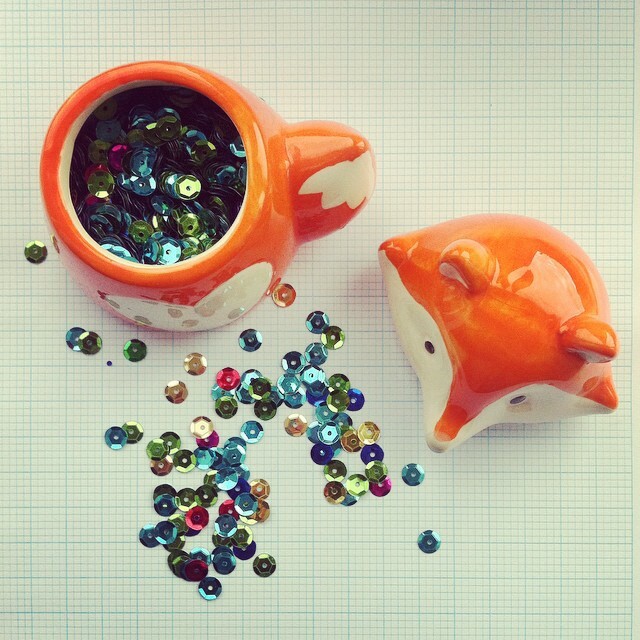 I’d definitely love to attend the Handmade Fair next year and recommend you check it out too! This Christmas is about to become very exciting for handmade lovers. 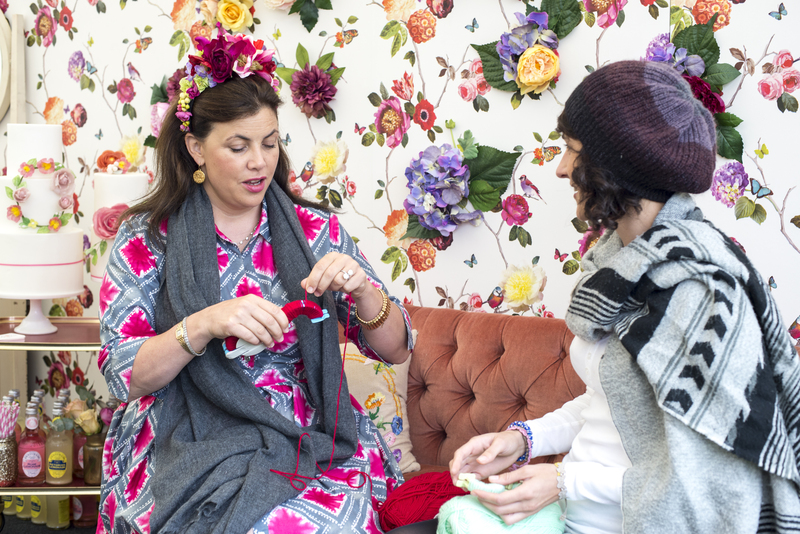 The fabulous Kirstie Allsopp, who launched the very successful Handmade Fair last year, is back with her team of designers and artisans to get Britain crafting at The Handmade Christmas Fair! 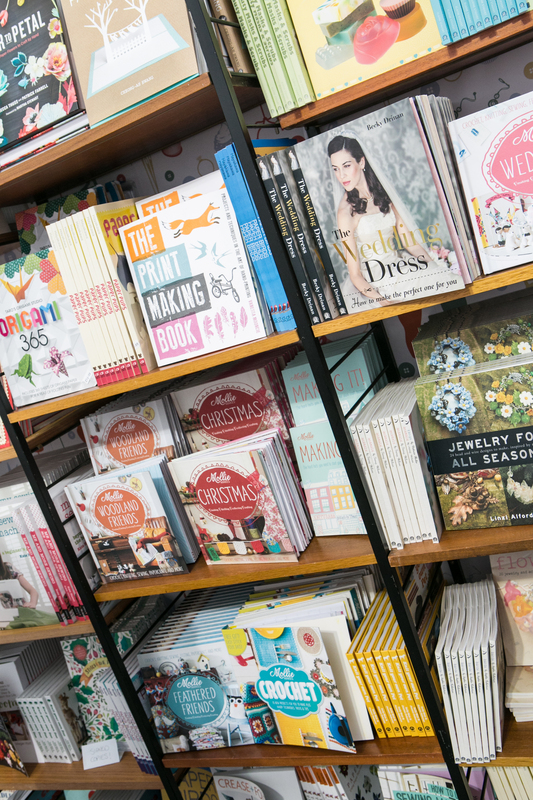 The event will take place at Manchester Central from 20th to 22nd November in association with my favourite craft magazine, Mollie Makes (of course!). You guessed it, this one is about celebrating all things festive! Here are a few pics from the past fairs – a crafter’s dream, don’t you think? If you haven’t got a ticket yet, here’s a little treat for you! You can get a Full Experience ticket for £20* (instead of £25) by entering the code JTK20 when you order your ticket here. Speaking of Christmas, Mollie Makes have launched a special issue to celebrate that time of year when so many of us enjoy getting crafty. Mollie Makes Christmas 2, out now, is packed with 105 exciting ideas & DIY projects to fill your home and gift your loved ones with beautiful, creative makes. 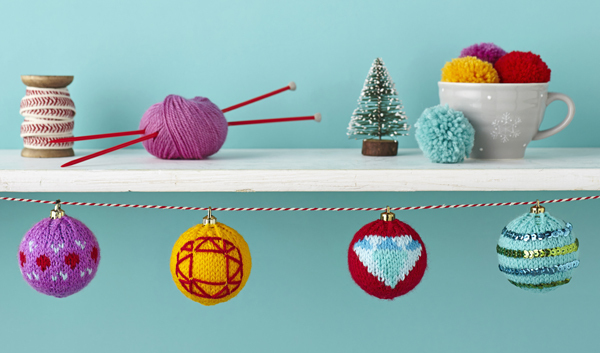 Sewing, crochet, papercrafts, upcycling… there’s plenty to keep you busy until Santa gets here. 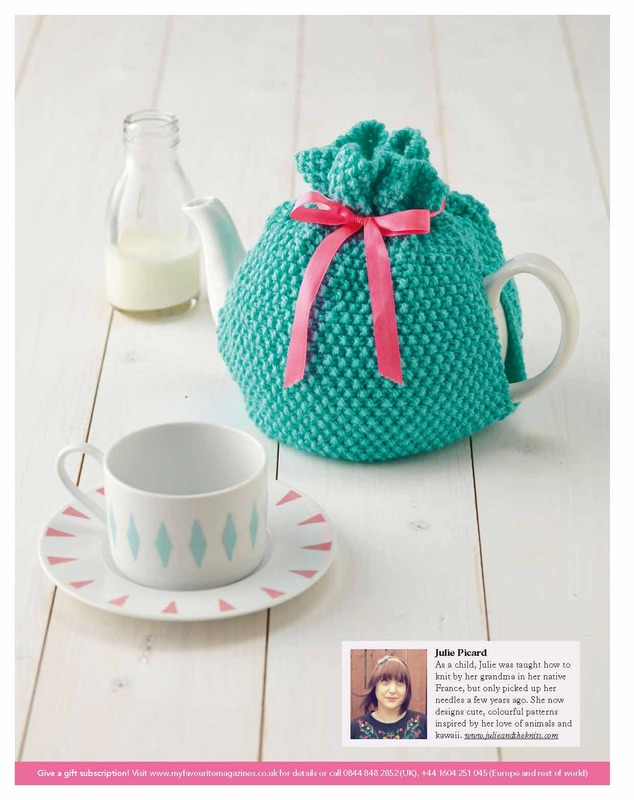 This issue is also extra special to me as it features my xmas baubles knitting pattern which first appeared in Mollie Makes last year and, I’ve got to say, it’s my most popular project to date. So make sure you get yourself a copy of this very special Christmas special (you can buy it here) and share your crafts online using #molliemakers! *T&Cs: Booking and transaction fees apply. Offer applies to Full Experience tickets purchased in advance only and offer ends 21st November. 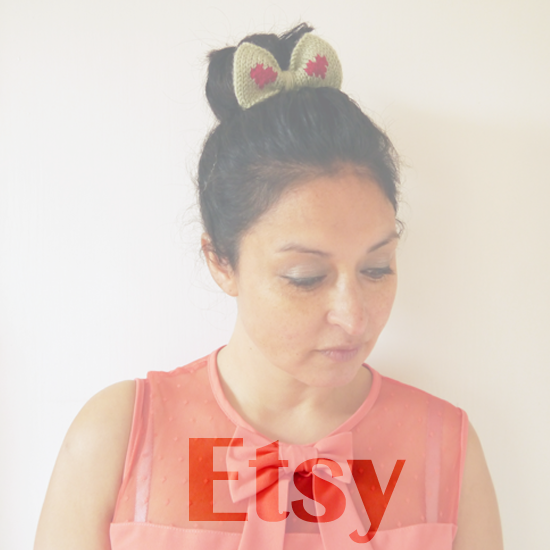 For more information, visit http://www.thehandmadechristmasfair.com/. I normally don’t share much about my personal life but this time it has a massive impact on my creative routine so it’s only right I do. I’m currently selling my house and I will soon be saying goodbye to my lovely knitting room (RIP). 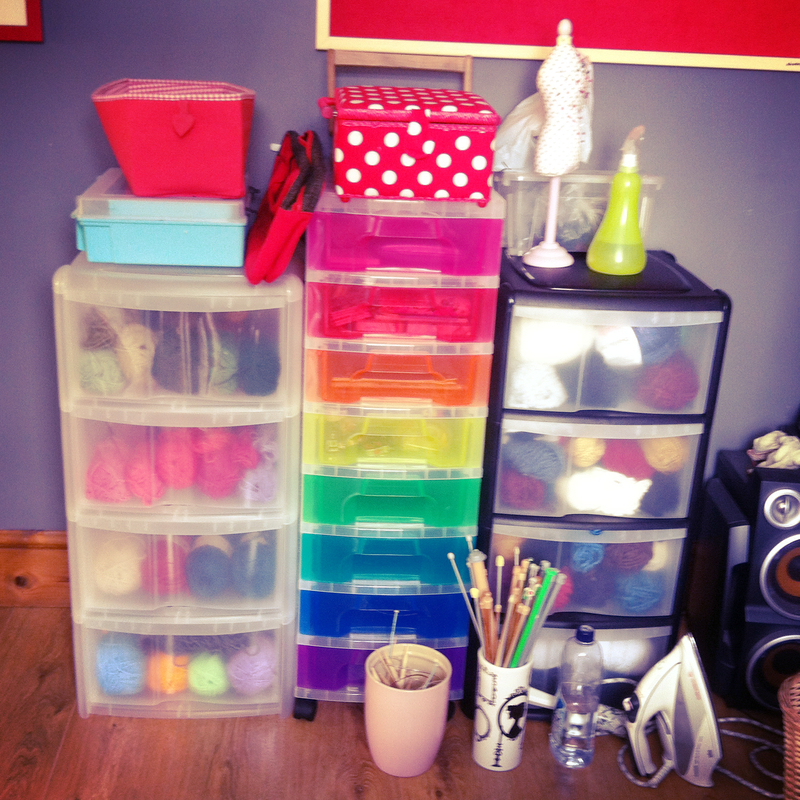 If you ever had to pack a whole craft room before, then you know what I’m going through… I have so much stuff to to sort out – yarn, needles, tools, stationery, craft books, notebooks all kinds of accessories and supports for my knits! I will no longer have a craft room in my next accommodation, so I’m trying to work out the best way to fit so much into a small space. This is where I’m at at the minute – any storage tips are more than welcome! … and this is just the beginning! I will show you my new knitting space in a few weeks time. 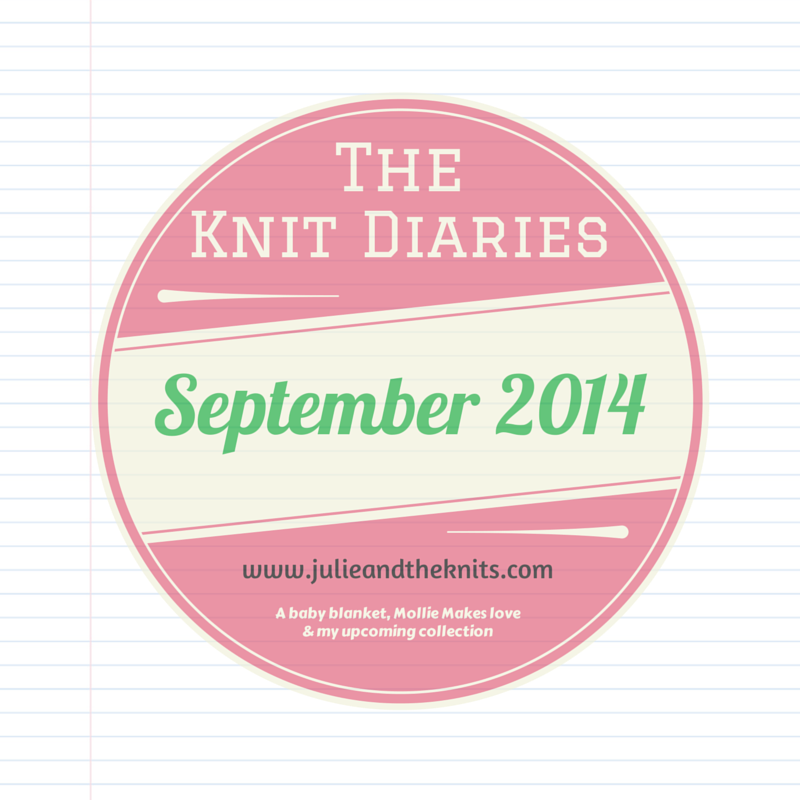 And that was August! Hopefully I’ll be more productive next month! What’s on your to do list? Remember the 2014 checklist I posted earlier this year? One of my resolutions was to do more selfish knitting and that’s exactly what I’ve been doing – not just working on my own designs but having a go at other knitters’ patterns. 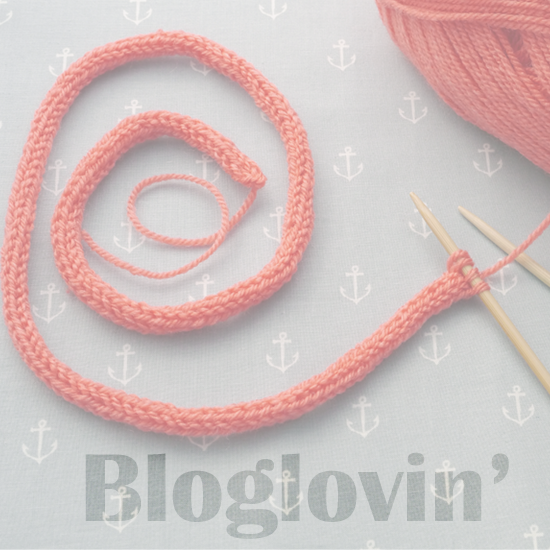 I’ve recently started to become more active on Ravelry (feel free to add my as a friend!). I used to be confused by the many categories and unappealing design, but have to say it’s so handy to have everything in one place and feel part of a knitting community! 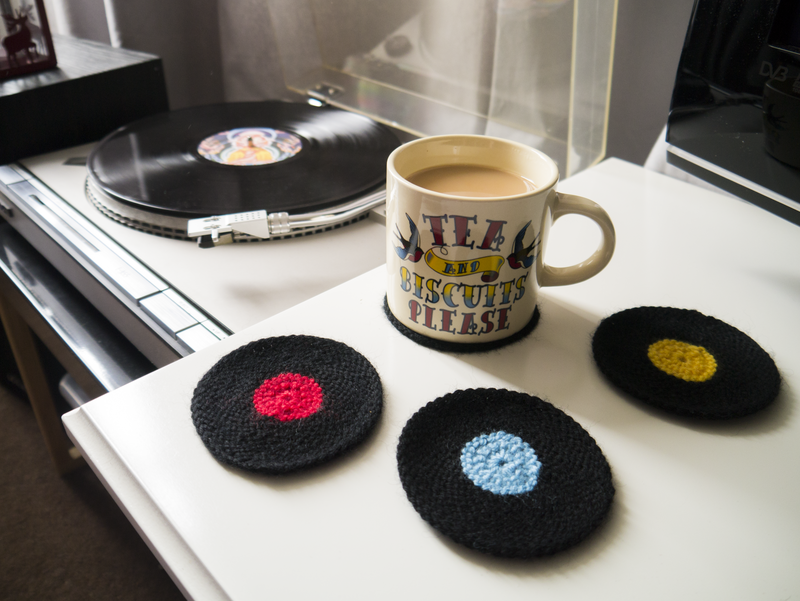 Anyway, going back to the selfish knitting, I was looking for an original coasters pattern for my coffee table on Ravelry and found this awesome knitted vinyl records pattern created by Ellen Kapusniak aka Knitti Politi. Aren’t these cool? I probably should have used cotton or acrylic yarn rather than merino wool as they get a bit fuzzy after a while. That’s enough selfish knitting for now! Another item on my checklist was to publish my own patterns and that’s something I’m working hard at – I will be publishing a set of intarsia/fairisle patterns very soon! 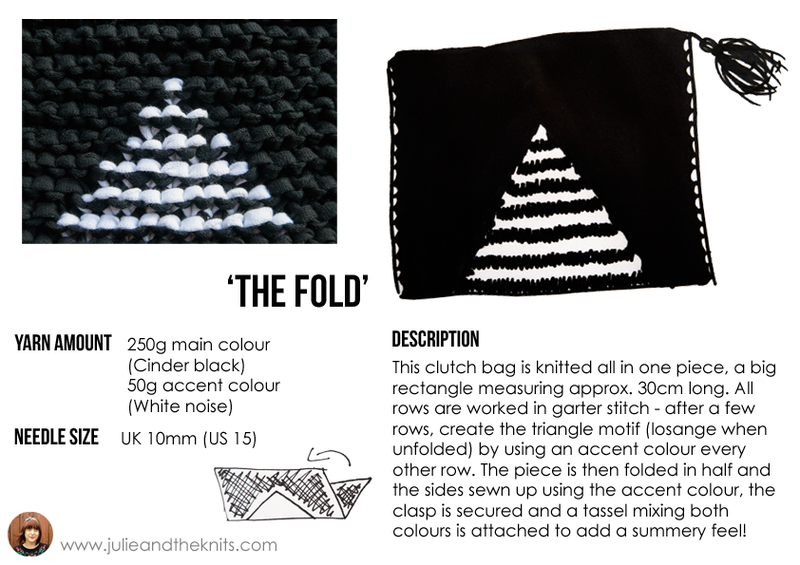 My first ever knitting design competition – VOTE NOW! 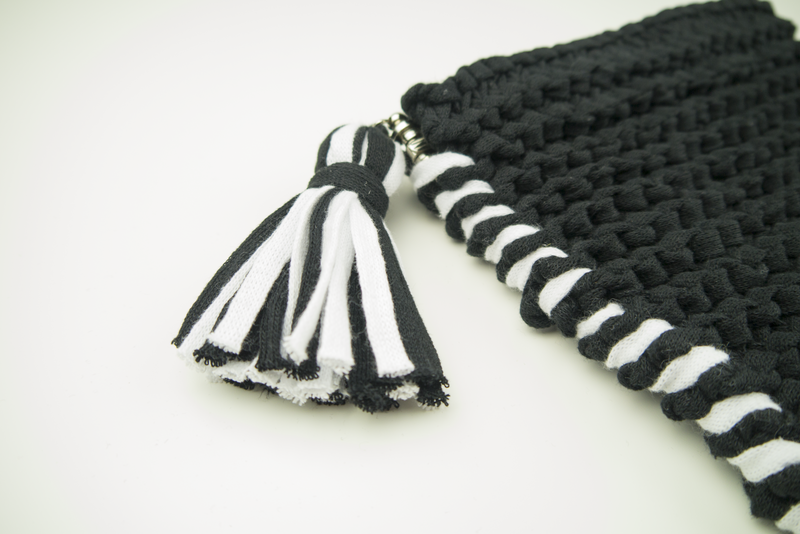 I have been very quiet on here & everywhere else and here is why… A great opportunity recently came up with the awesome knitwear company Wool & The Gang to design a clutch bag to be sold as a knit kit on their website. Having recently decided to dedicate more time to designing rather than making, I jumped on the occasion. WATG first asked participants to knit a swatch using their new Mixtape Yarn, do a sketch and write a brief description of our design. When I made it to the shortlist (yay! ), I was then asked to knit my clutch bag and send them some pics including a ‘in action’ shot, hence the awkward photo of myself below. 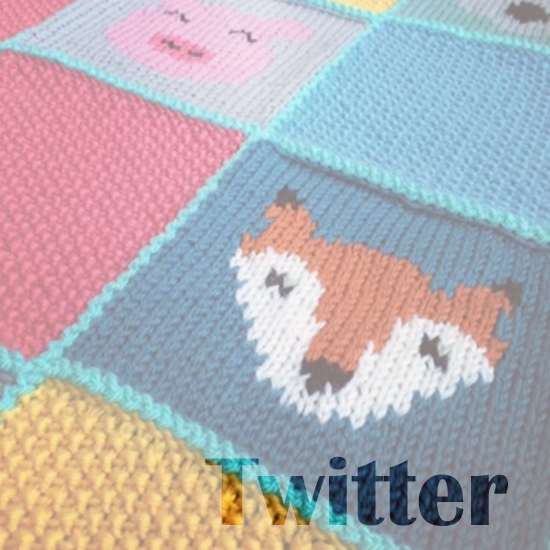 The voting is now open and they will launch the winning design as a knit kit. 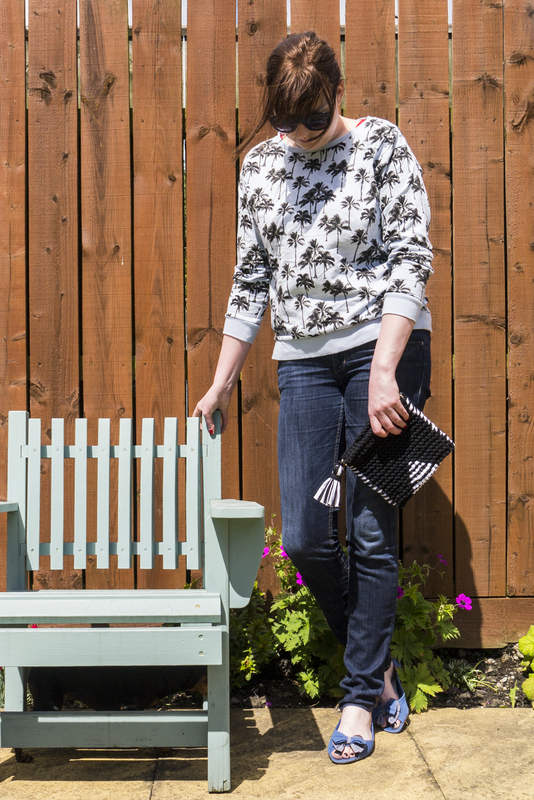 This is a fantastic opportunity for me and, if you like my clutch bag, I’d be so grateful if you could spare a minute to vote for my design! All you have to do is click HERE and vote for JULIE (that’s me!) – you will be taken to their Facebook page to vote and it also works from mobiles. If you’ve never heard of WATG before, check out their website! – I discovered them thanks to friend years ago. 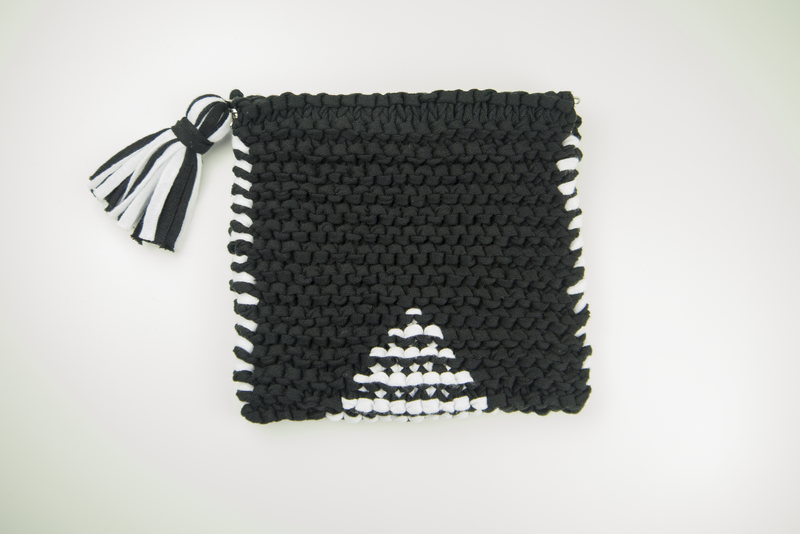 They make modern DIY and unique, ready to wear fashion knits brand for women, men, kids and babies.